The TECHT MRT(MASS REDUCTION TECHNOLOGY) HE Pro Series Crossover Bolt has been engineered to maximize efficiency, and consistency. 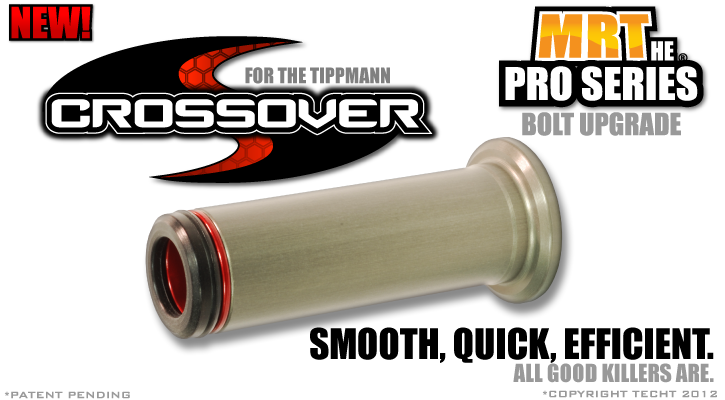 We have also pushed down the weight of the bolt considerably making the Tippmann Crossover shoot with much less kick. BUTTERY SMOOTH.... We have again used the soft-touch face which will significantly decrease ball breakage. We minimized the weight of the crossover by using hardened aluminum instead of steel. The hardened aluminum outer body provides a harder smoother surface for the spring to ride on, this decreases spring wear on the bolt. The MRT HE Bolt also features a newly redesigned stem which delivers even better efficiency and consistency than it's predecessor. As with all of our products it carries a Full Lifetime Warranty. The TECHT MRT HE Pro Series Crossover Bolt utilizes the stock spring. 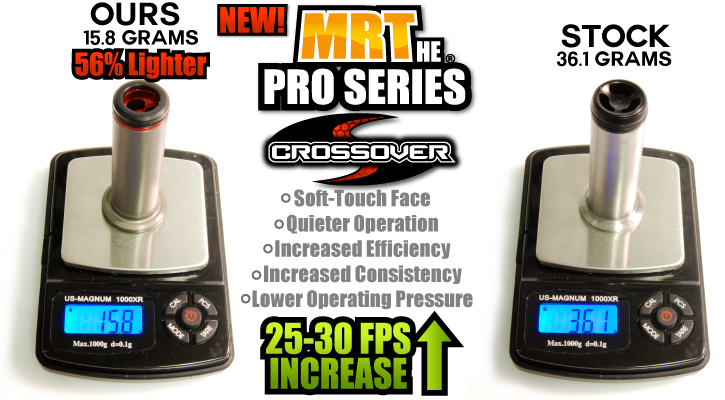 We saw increases of 25-30 FPS gain when changing out the stock bolt for the MRT HE Bolt. Our increase in efficiency is due to the combination of the soft-touch/high flow face, which helps seal off the barrel when fired, the tremendous change in weight, and our new bolt stem design. The sound signature is also greatly reduced when adding the MRT Bolt. Better Efficiency, Consistency, and Super Light. 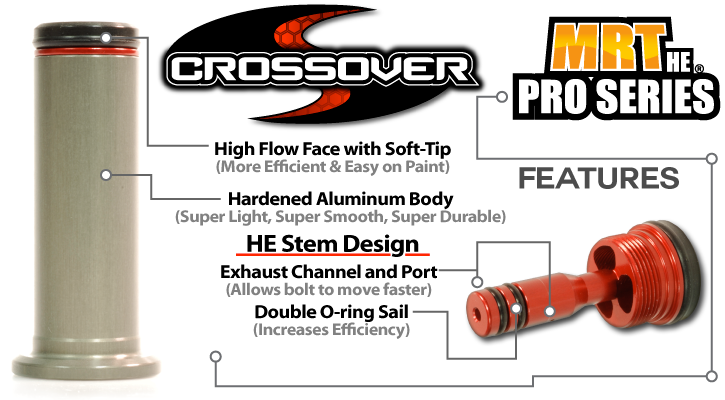 Works in the Crossover and Crossover XVR!